You will absolutely love the new ShoWorks 2016 Training Videos. We guarantee it. 10 hours of packed tips, tricks and how-tos, all indexed so that you can either jump to a topic of quick need, or watch in a series of 8 chapters, grouped by level of interest. Use them for training new users in your office or to refine your own fluency of ShoWorks so that you spend less time in the software. These videos are a "must have" resource for any fair office using ShoWorks 2016 and for all levels of experience - from the beginner to the seasoned user. If you watch these videos, you will reduce your time in ShoWorks and find it far easier to use than ever before. 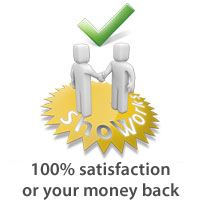 We guarantee it so much that we are offering a money back guarantee on your complete satisfaction! Videos are delivered via download only (no physical media). You must have a high-speed Internet connection to download and install the videos. Once they are installed, you will not need an Internet connection. Videos are installed and playable on your computer (not TV). Become skilled with a foundation of how ShoWorks operates and important considerations before starting your fair. Learn how and where to get help when you need it. Most importantly, learn how to manage your data files both locally and on a network, and protect your work with backups as well as utilities to help your file run more efficiently during your fair. Also learn how to carry over data from year-to-year, merge data from other files, and export financial data to QuickBooksâ„¢. This chapter and the following are considered the two most important chapters in the entire video set. Learn tips on arranging records so that you spend less time with the software. Get up to speed on how to build lists, sort, and filter for quick access to valuable fair records. Identify common mistakes that affect your data when working with the software. Also discover how to customize menus that are tailored directly to your fair. This chapter is extremely important to becoming fluent in the ShoWorks environment and should be the chapter of choice should you be short on time and need to get up and running quickly. Explore techniques of getting data into ShoWorks in the fastest way possible and how this data interacts among related areas of the fair process. Each menu of ShoWorks is covered in depth, describing all fields that are available in each area of data entry. Learn how to setup user defined fields for cases when you need to collect unique data. An extensive look at how to setup Points & Premiums is covered, followed with the remainder of the chapter looking at the major menus: Divisions, Clubs, Schools, Exhibitors, Entries, and Tickets. For fairs that have an auction: Achieve the skills needed to allow for a smoother and more efficient sale process. The chapter begins with configuring and setting the sale order, followed by a detailed walk-through of different sale scenarios including split buys, multiple ways to collect add-ons, flooring and resale of animals, adjusting the sale for fees, and different ways to automatically route funds in situations that would otherwise require time-consuming manual intervention. An equal amount of time is spent looking at different ways to bill your buyers and what to do when problems arise. Discover the ins and outs of tools which help automate tasks. These tools are at the heart of ShoWorks and what distinguishes it from a simple data base to a full-fledged application. The popular tool "Quick Entries" is covered in depth. Also explored are wizards which are used to quickly update data such as breaking classes by weight or age, renumbering records, and sharing data back and forth between Excel spreadsheets and ShoWorks. Robust step-by-step 'wizards' in ShoWorks are included in this chapter such as updating many divisions and classes at once, and adjusting exhibitor checks and buyer bills. Also included is how to use the Financial Inspector which scrubs your data looking for common mistakes that affects payouts to exhibitors. A complete walk-through of every preset report available in ShoWorks makes up the first portion of this chapter, with the second half illustrating how to create custom reports that are formatted exactly to your needs. The chapter concludes by teaching you the techniques to leveraging Microsoft AccessÂ®, uncovering the full potential of reporting and building queries over your fair data. Gain insight on how ShoWorks can save time and costs and reduce errors by processing your entries, taking auction buyer payments, selling tickets to the public, and running surveys - all online through the Internet. Even generate revenue through sponsor banner ads. Discover the new administrative tools that provide both analytics and forecasting based on historical trends from your own fair, to ratings and feedback provided by your exhibitors! An indepth study of how to access and update entries to and from mobile devices, namely the iPad but also a web browser. Here you will learn to leverage the iPad to use as a 'virtual clipboard' to help with check-in, weigh-in, judging, and check-out. See how much easier the process becomes by using the built-in camera of the iPad to scan barcoded entries, and even a paired Bluetooth RFID eartag reader to scan the EID tags of livestock. The new 'kiosk' technique is examined, showing how exhibitors can 'self-check-in' (even using their mobile device), shortening the lines on check-in-day. The new feature that allows access from a web browser to update your entries will be introduced. Finally, you will learn how to three-click publish both judging and sale/auction results in a newly revised, beautiful layout to Facebook, Twitter, Saffire, and your own website!